Shaving arms properly limits chances of razor burn, ingrown hairs and skin irritation. Discover essential tips on how to shave your arms. Learning how to shave arms properly can protect your skin from razor burn, ingrown hairs and skin irritation. This is particularly important if you plan to shave frequently to maintain smooth skin. 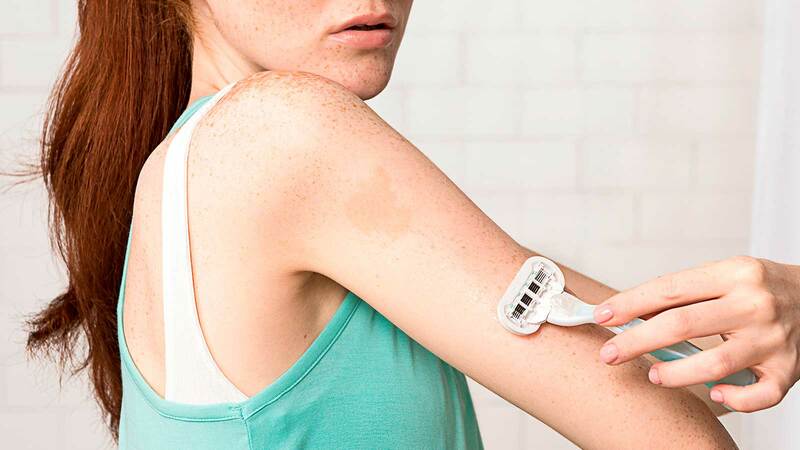 Does shaving arms make hair grow back faster and thicker? If you’re worried the hair will grow back faster and thicker just because you shaved your arms, rest assured it won’t. Shaving removes hair at the skin surface and not the root, so the cut hairs can appear to grow back faster, and thicker because of the cut, blunt tops; however, hair regrowth is based on genetics. Learn more about different hair removal methods, both surface and root solutions, to find what works best for your lifestyle and preferred arm hair maintenance. 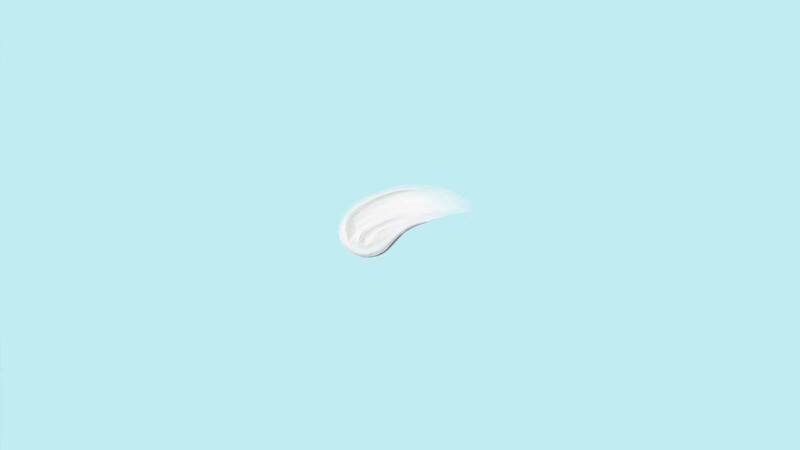 And, when it comes to shaving your arms, here are fundamental tips to optimize your experience. 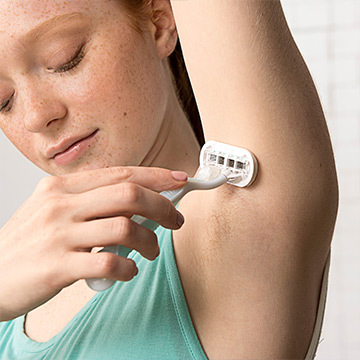 If your arm hair is long and thick, consider trimming it down with an electric razor, trimmer or a pair of scissors before using a razor. This helps keep your razor blade sharper for longer and helps prevent re-shaving over any areas with longer hair, which can cause skin irritation. 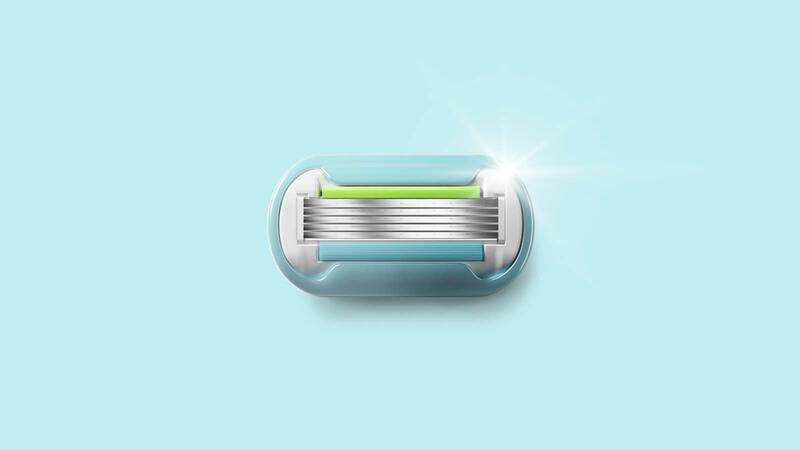 Shaving dry skin leads to more nicks, razor burn and bumps. Ensure your arms are well-hydrated before you shave by soaking them in warm water via a bath or shower for about three to five minutes. What’s more, washing your arms first has the added benefit of making sure your skin is clean when you shave, further reducing chances of skin irritation. Exfoliation helps keep skin healthy by removing dead skin, which can increase razor bumps and rashes. Grab a gentle scrub or loofah and gently rub your arms to exfoliate your skin and clear any loose hair and dead cells. Use shaving gel to preserve moisture and allow your razor blade to glide across your skin more easily to prevent razor burn and bumps. Shaving gel also helps you see where you have shaved so you do not accidently re-shave over any areas and irritate your skin. 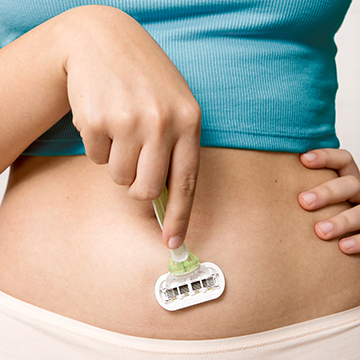 Always use a sharp razor blade when shaving to protect your skin from razor rashes, ingrown hairs and skin irritation. Blades generally last five to 10 shaves, however the best sign it’s time to change your blade is if it becomes dull. 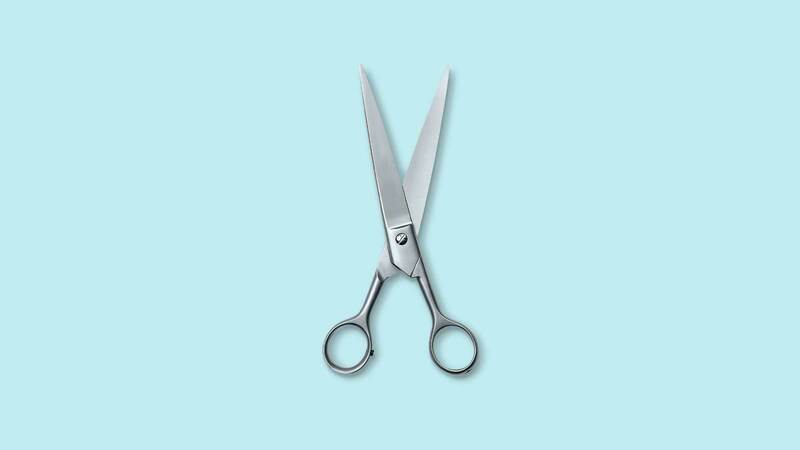 Dull razor blades can pull at body hair, feel rough on skin and cause more nicks, cuts and irritation. 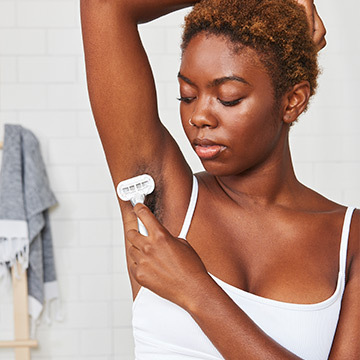 Since arms are curvy and have areas that are hard to see and reach, try shaving in sections, such as from elbow to wrist and then shoulder to elbow. Shave in the direction of the hair growth to limit skin irritation. Rinse your razor after each stroke to keep the blades clear of shaving cream and cut hairs. If shaving in the direction of the hair growth doesn’t result in a close enough shave, reapply shaving gel and carefully shave against the grain. 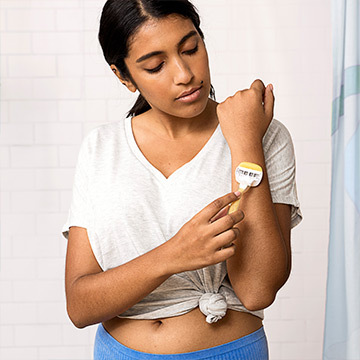 It’s important to take your time shaving, especially when shaving your arms because of all the curves and hard-to-see areas. Shave in light, steady strokes, and take extra care around bony elbows. Try bending your arm when shaving by your elbow to help prevent nicks and cuts. After you finish shaving, rinse off your arms and gently pat the skin dry with a clean towel. 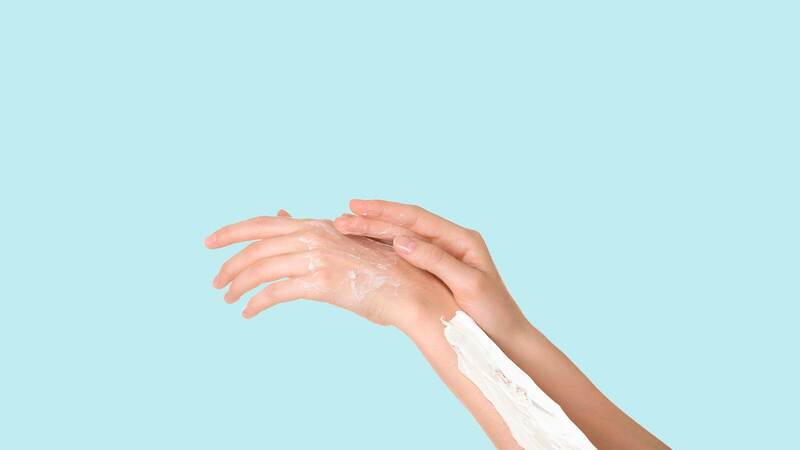 Apply a moisturizing lotion or oil, preferably alcohol-free, to help maintain moisture. Make sure to also rinse off and clean your razor, then set it aside to dry.